The 'Annabelle' Trailer Will Make You Cry! 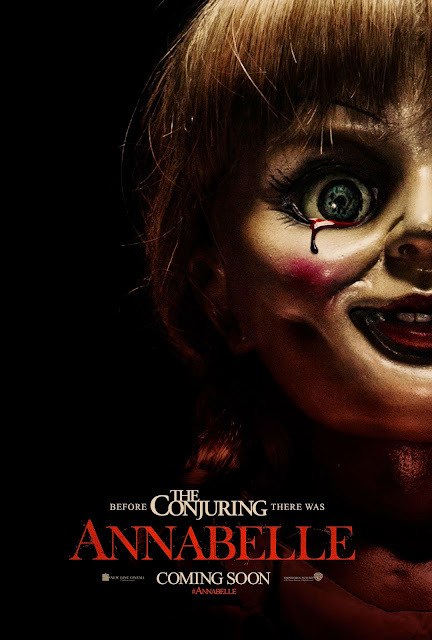 New Line Cinema has just released the first teaser for “Annabelle,” the spin-off of the surprise hit horror film “The Conjuring". "Annabelle" is slated to open worldwide this October. If you recall the events from "The Conjuring", Annabelle is the creepy doll that was heavily-featured in that film. The spin-off explores the early origins of the doll and how it acquired its eventual demonic essence. The film stars Annabelle Wallis, Ward Horton, and Alfre Woodard. As for the trailer, it shows a happy couple who got murdered and the wife in particular who got a pretty familiar doll as a gift from her husband. Let's just say that the last few seconds were unbearable to watch.